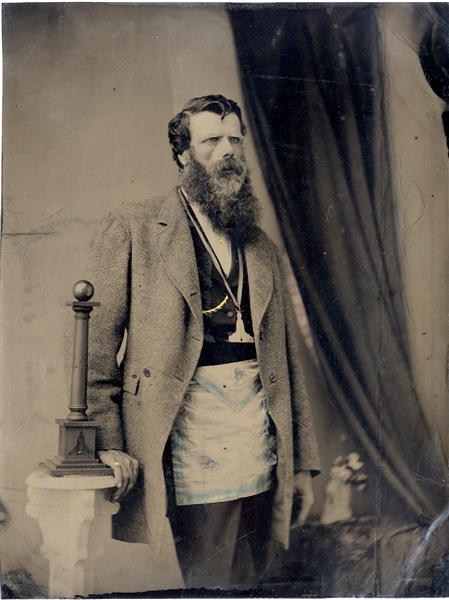 3/4 view of standing bearded man, wearing Masonic garb: lightly tinted blue apron, tweed coat and vest. Hanging around the neck is an amulet. Gold watch chain. Minor scratch in vest, else VG.